With Christmas and Hanukkah approaching, it might seem premature to talk about Passover, which doesn't occur in 2017 until mid-April. However, new gluten-free products announced earlier this month at the annual Kosherfest food show in northern New Jersey merit a look ahead. 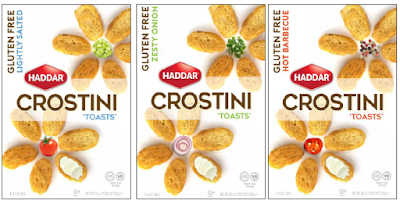 Kedem Foods announced several new gluten-free products that will be widely available for the Passover holiday next year, including additions to its all-natural, certified-gluten-free Yehuda matzos. New to the matzo line are Egg and Everything varieties. The matzos will be available year round after the holiday. Under its Gefen label, Kedem will debut gluten-free pancake/waffle batter and crepe batter. The ready-made mixes are stored frozen, then thawed for use on the griddle or waffle iron. 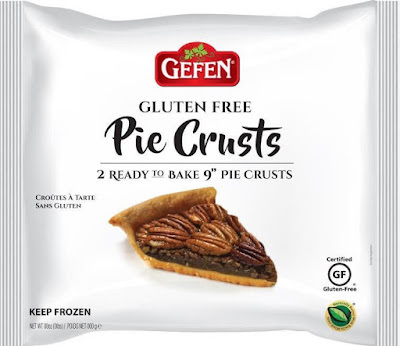 Also added to the Gefen line are gluten-free ready-to-bake crusts that come in a 3-inch size for tarts and a larger 9-inch size for pies. These items will be available year round. Gefen's other major addition for Passover is fresh (heat-and-serve) pasta: gnocchi and fusilli. 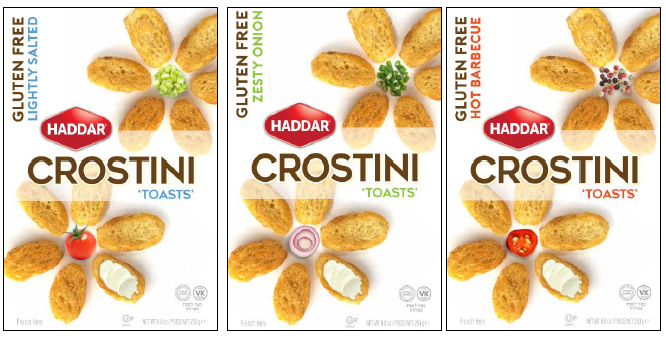 Another Kedem line, Haddar, will offer gluten-free crostini. The mini toasts will be available in three flavors: Lightly Salted, Zesty Onion and Hot Barbeque. Another Passover-only item from Haddar is gluten-free biscotti. The cookies will come in Cappuccino Crunch, Choco Chip and Chocolate Fudge. 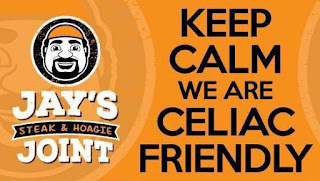 Jay's Steak & Hoagie Joint has reopened at its new location in Penndel (1205 Highland Ave., 215-741-6555), still offering gluten-free cheese steaks, hoagies, wings, fries and more. A section of the new kitchen is dedicated for gluten-free preparation and contains a separate fryer, grill, sandwich station and oven. MilkHouse recently opened its third Center City Philadelphia location, this one at 30th Street Station (2995 Market St, 215-222-1393). As with the other spots, there is a separate press used to make gluten-free grilled cheese sandwiches and only potatoes go in the fryer. Local veggie burger purveyor Luhv Foods has opened a vegan bistro in Hatboro (101 N. York Rd., 215-444-9002). The entire menu of burgers, salads and soups, save traditional burger buns (though there are gluten-free buns available), is gluten free. Southern-influenced Rex 1516 in Philadelphia (1516 South St., 267-319-1366) has updated its gluten-free menu, which features spare ribs, burgers and fish. Bear in mind that the fries and wings are not prepared in a dedicated fryer. You can read my review of Rex 1516 here. 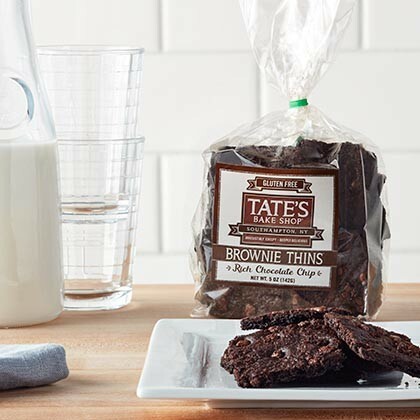 Brand new from Tate's Bake Shop are gluten-free brownie thins - a cross between the bakery's delicious cookies and brownies. Not yet available in stores, the product can be purchased at the company's online store. Promo code NOV10, which expires today, gets you 10% off plus free shipping; from November 19-24, code NOV21 is good for free shipping. Have a great weekend and wonderful Thanksgiving! 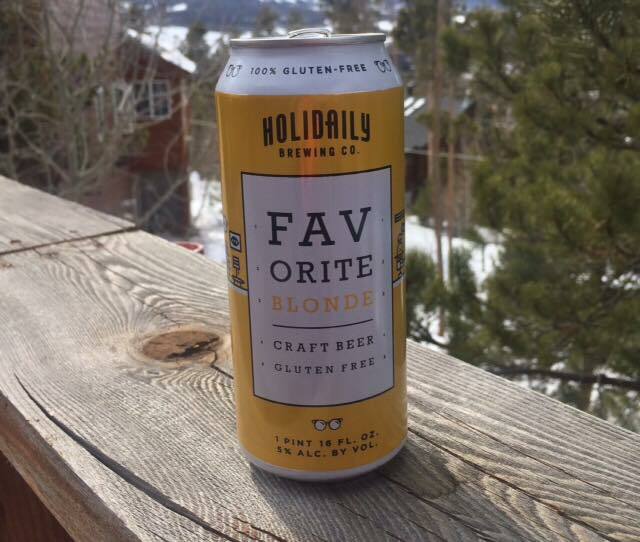 The rocky mountains of Golden, Colorado might be the home of Coors, but it's also where Holidaily Brewing Company is making a name for itself, Holidaily is a dedicated gluten-free brewery founded by Karen Hertz, a cancer survivor who was given a treatment plan that included being on a lifelong gluten-free diet. As a beer lover, she wanted a better tasting gluten-free brew. After years of research, she launched Holidaily. I was pleasantly surprised to see that Holidaily brews a Black India Pale Ale and an Imperial Stout, as many gluten free breweries don't venture far from the basics. Here's a recap of some of the brewery's styles. 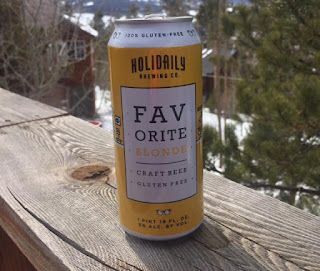 Favorite Blonde (5% ABV): Using millet and buckwheat and just the right amount of hops, Holidaily has brewed a blonde ale (its flagship beer) that would surprise many traditional beer drinkers by the fact that it's gluten free. Its light body and mellow hoppy taste make this an easy drinking, delightful beer. With a smooth beer like this, you can pair this with just about anything, or enjoy on its own. 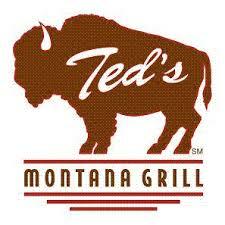 Ted's Montana Grill opens its first Delaware location in Newark on November 14 at the new Christiana Fashion Center (3194 Fashion Center Blvd.). The steakhouse chain offers guests a gluten-free menu that includes burgers with buns, as well as salads, entrees and sides. Ted's other area outpost is in Warrington, Pennsylvania. In Magnolia, Woodstone Tavern (510 S. White Horse Pike, 856-435-4600) has just opened, with gluten-free items such as grilled wings, glazed shrimp and filet mignon skewers noted on the menu. The majority of the menu at Conshohocken's Coyote Crossing (800 Spring Mill Ave., 610-825-3000) is gluten free, from salads and enchiladas to fish and other entrees. However, there is no dedicated gluten-free fryer. The gluten-free-friendly Big Bites BBQ in Quakertown has closed. Wegmans has introduced a line of gluten-free pizzas under its store label, priced at $7.49 each. Based on my review of the ingredients, my educated guess is that the pizzas are made for Wegmans by Chef Anthony Russo's. 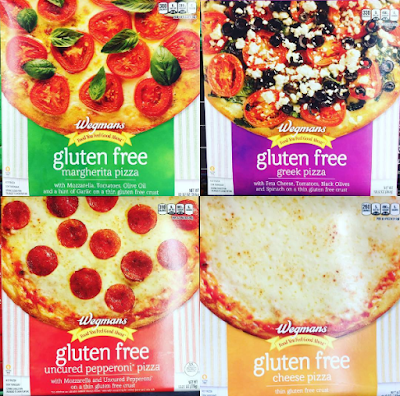 I wrote about the Russo's gluten-free pizzas back in 2013, when I discovered them at the Expo East gourmet food show. There are many gluten-free-related events this month, including an expo at the Plymouth Meeting Mall on Saturday from 10 a.m. to 2 p.m. Get the details on that and the other events in my post from last Tuesday. As the calendar turns to November, the month brings many gluten-free events to the Philadelphia area. 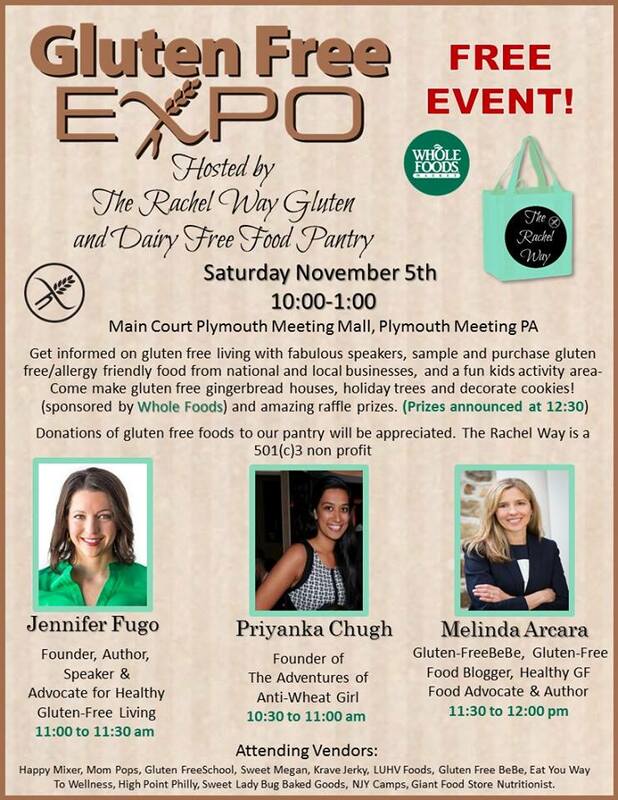 This Saturday, The Rachel Way gluten- and dairy-free food pantry hosts a free gluten-free expo at the Plymouth Meeting Mall (500 W. Germantown Pike) from 10 a.m. to 1 p.m. Among the vendors offering samples are The Happy Mixer Bakery, Sweet Megan, LUHV Foods and Krave Jerky. There will be several speakers as well as a holiday cookie decoration. If you're attending, please bring a gluten-free and dairy-free item to donate to the pantry. 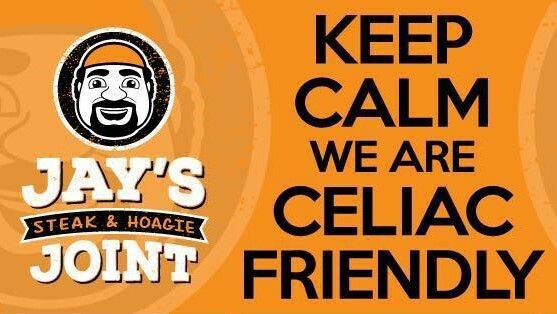 On Sunday, the Southern New Jersey Celiac Support Group will hold its monthly meeting at the Hope Church in Voorhees (700 Cooper Rd. ), where there will be a Thanksgiving pot luck. Be sure to bring your recipe with ingredient listings. On Saturday, November 12, Childrens' Hospital of Philadelphia is hosting a kids' support group meeting at the CHOP Specialty Care & Surgery Center in Chalfont (500 W. Butler Ave.). To register, please send an email to the CHOP Celiac Center with the number of adults and number and ages of children. As of this writing, there are several spots left for Paoli Hospital's seminar on Celiac Disease and gluten sensitivity, scheduled for Wednesday, November 16. The featured speaker is Benjamin Lebwohl, MD, MS, assistant professor of medicine and epidemiology from the Celiac Disease Center at Columbia University. The event will be held at the hospital's Potter Room (255 W. Lancaster Ave.) from noon to 1 p.m. Online registration is available. 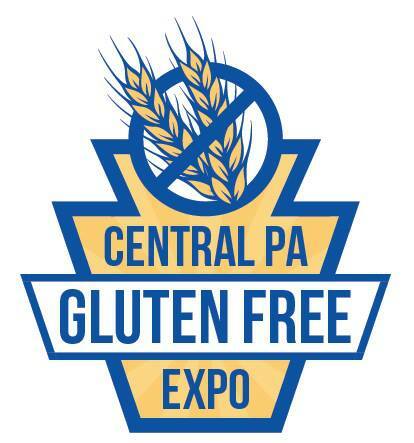 If you can't wait for the second annual Greater Philly Gluten-Free Expo slated for Saturday, May 20, 2017, the same organizer is hosting a sister event on Sunday, November 20 at the Penn Stater Conference Center in State College (215 Innovation Blvd.). There will be several speakers and more than two dozen vendors sampling their products. VIP tickets are sold out, but general admission tickets can be purchased in advance online.